A young girl travels to a magical world in search of her missing father. In the foreword to his influential 1981 book 'Cult Movies', film critic Danny Peary defines a cult movie as one that "polarized audiences on its release and is only popular with a small number of enthusiasts, who spread information about it by word-of-mouth." 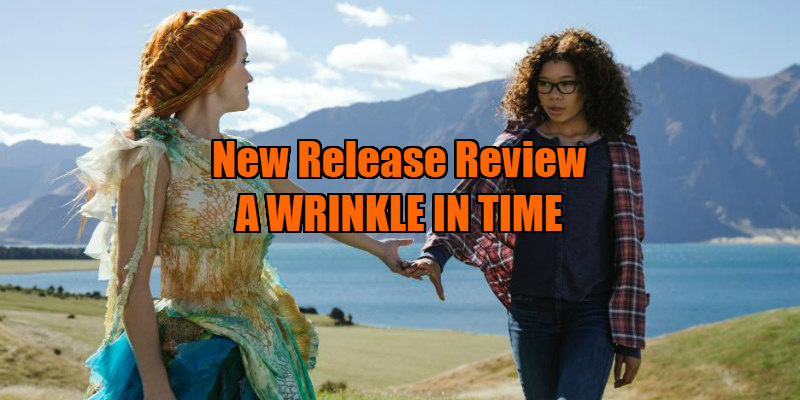 Despite being a product of mainstream Hollywood, which disqualifies it from attaining cult status according to Peary's strict criteria, A Wrinkle in Time seems to fit the definition of a cult movie snugly. It has certainly polarised audiences and critics in the US, and it boasts a very small number of enthusiasts indeed. I suspect it will find its cult audience in future decades when some stoner discovers it finally makes sense when accompanied by a King Crimson album played backwards, and some hard drugs. Lots of hard drugs. Based on a 1962 Madeleine L'Engle novel - which every American claims to have read as a child but which nobody this side of the pond has ever heard of - A Wrinkle in Time follows the classic children's book template of a seemingly average child finding themselves whisked away to a magical world where they learn a lesson or two about their own self worth. Here it's schoolgirl Meg Murry (Storm Reid, far too good for this film), whose scientist father, Alex (Chris Pine), vanished mysteriously four years ago while trying to find the secret of the universe in his garage laboratory. Out of the blue one day Meg is visited by Mrs Whatsit (Reese Witherspoon), an astral traveller who whisks Meg, along with admiring neighbour Calvin (Levi Miller) and younger brother Charles Wallace (Deric McCabe, the most irritating child actor ever to pollute the screen), off to a fantastical alternate dimension where her father has become trapped. A Wrinkle in Time may fit the definition of a cult movie, but it also resembles a movie that's been financed by a cult, and if you told me everyone involved in its production belonged to the Church of Scientology, I wouldn't bat an eyelid. It resembles a mega budget version of the bizarre, pseudo-spiritual, cod-philosophical films of the notorious low budget filmmaker Neil Breen, both in its confused, wishy-washy themes and preachy moralising, and in its staggering technical ineptitude. There's a scene early on that sets the tempo for what's to come as we witness a pair of teachers engage in a laughably on the nose conversation that spells out the backstory of Meg and her younger brother. The actors involved play the scene as if they're under hypnosis, or they've been body-snatched by some alien race that doesn't understand how humans work. Even their placing is awkward, standing at a peculiar distance from each other that adds to the inhuman quality of their interaction. Scenes are blocked and covered in the oddest manner, with a disregard for continuity as characters seem to randomly teleport around the spaces they inhabit. The 180 degree rule, the bread and butter of narrative filmmaking, is tossed out the window as the camera jolts back and forth across stagelines, causing scenes to play out like the characters involved are standing in line at a bus queue and speaking to the back of each others' heads. Shots are framed with all the grace of Debbie from Accounts taking her 75th selfie of the evening as the office Christmas party winds down. A Wrinkle in Time is that most annoying of kids' movies, one which has more interest in lecturing kids than entertaining them. That said, it's difficult to make sense of the contradictory sermon that's being preached here, with a pro-science message arm-wrestling with new-agey nonsense about how 'love is the frequency', and that infamous self-help snake-oil peddler Oprah Winfrey appearing as a 30 foot tall version of Mad Max's Aunty Entity as she dispenses trite advice to the insecure Meg. It's a movie that tells kids that love can conquer all, but also to trust no one, and that if people are mean to you it's because they have insecurities of their own, but also because an evil force called 'The It' controls all the darkness in the world. Every now and then the film appears to be on the verge of breaking into a musical number, such as a bizarre sequence involving children bouncing basketballs in harmony in a suburban cul-de-sac. A few song and dance routines would have gone a long way to making this less of a slog, and would likely have cemented its potential cult reputation. Perhaps in a future world revival cinemas will play A Wrinkle in Time to late night audiences who toss cabbages at the screen at opportune moments (you'll know why when you see the film) and shout their favourite bad lines from its awful script. Maybe when time has given me a few more wrinkles of my own I'll come to appreciate director Ava DuVernay's inept film on a new level, but for now it's simply an endurance test that had me constantly checking my watch and wishing I could time travel to its closing credits. 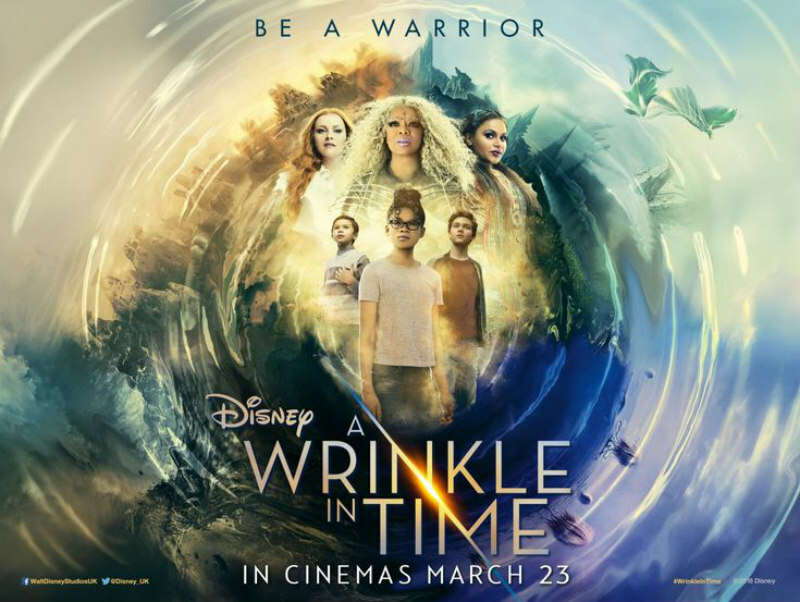 A Wrinkle in Time is in UK/ROI cinemas March 23rd.